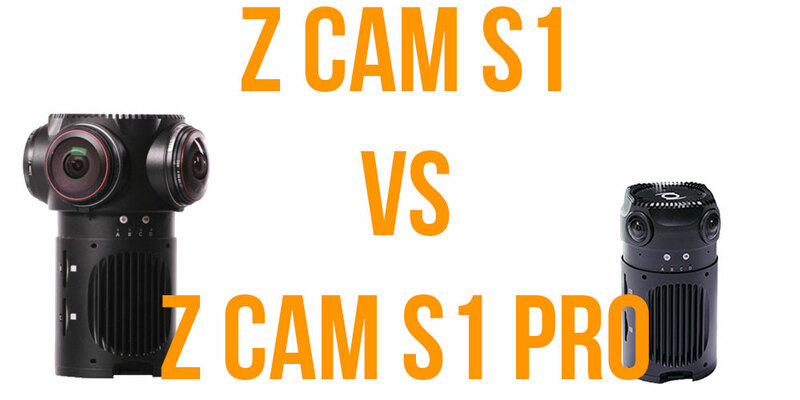 Z-Cam S1 vs Z-Cam S1 Pro - What's the difference? 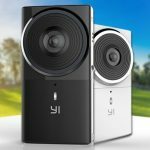 The Z Cam S1 and the Z Cam S1 Pro are both Indiegogo backed professional 360 cameras designed to film very high quality 360 video. Both of these cameras are able to create full 360 video at a resolution good enough for professional use. If you are thinking of investing in a professional 360 camera for VR content creation, the Z Cam’s should definitely be on your list, but what is the difference between them? Clearly the Z Cam S1 Pro is an upgrade of the Z Cam S1, but what exactly do these upgrades entail, and are they worth it? In this post I’m going to set out the difference between the Z Cam S1 and the Z Cam S1 Pro by comparing specifications and example videos. By the end of this post you should have a good understanding of the differences between these two professional cameras and be closer to deciding which one is best for you. Lenses 4 x All-GLass 190° Fisheye Lens. Image Sensor: 4 x Sony EXMOR CMOS. 4 x All-GLass 220° Fisheye Lens. 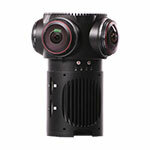 Image Senor: MFT 220 degree premium fisheye lens & 4/3” image sensor. The internal specifications are broadly similar, apart from one notable exception, the lenses and image sensor. Z-Cam have consistently stipulated that they are more concerned with the quality of the image rather than the resolution of the video. It’s for this reason that Z Cam equip their professional 360 cameras with more advanced image sensors than is usually seen on other 360 cameras. Both the Z Cam S1 and the Z Cam S1 Pro are equipped with high quality glass fish eye lenses and Sony image sensors, which are capable of capturing high quality video and allowing for complete manual control. The Z Cam S1 Pro’s most upgraded feature is the Sony Micro 4/3 image sensor, which allows for superior low light sensitivity and dynamic range. What does this mean exactly? If you are looking to shoot professional 360 video in low light conditions, the Z Cam S1 Pro is likely to produce better results thanks to the Micro 4/3 image sensor. You can probably tell the difference almost immediately. The Z Cam S1 Pro handles the brighter lights without overexposing and the lighting in general is sharper. That’s not to say that the Z Cam S1 doesn’t handle low light well; compared to almost all other 360 cameras it can produce very high quality 360 video in low light, but if you want the absolute best the S1 Pro’s Micro 4/3 lenses are going to produce higher quality results. This is a slightly unfair comparison, the lights of Times Square make for a much more interesting subject than a group of swans. Even so, I think the quality difference between the two camera in this instance isn’t as apparent. The Z Cam S1 Pro can shoot at a higher resolution, but apart from that the overall quality seems to me to be about the same as the S1. I think most of the benefit of using Micro 4/3 lenses comes from shooting in lower light environments which obviously wasn’t required in these examples. I’ve personally used the Z Cam S1 and it’s a very easy to use all in one camera that can shoot professional VR video. 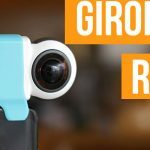 I like how the focus is placed on image quality rather than just bumping up the resolution, and from the many example videos I’ve seen its certainly capable of shooting beautiful 360 video. The ONLY place it does suffer in quality is in low light situations, which is a common problem for most 360 cameras. This is likely the reason why Z Cam created the S1-Pro, to fill the gap in the market for a professional 360 camera that can shoot good looking 360 video in low light. You’ll need to think about when and where you are going to use your camera. If you’re going to be outside in good lighting during the day then the Z Cam S1 will be more than good enough. If you plan on shooting in a lower light environments, then the S1 Pro is probably worth the extra investment because it seems to be the only all in one 360 camera that works well in low light.